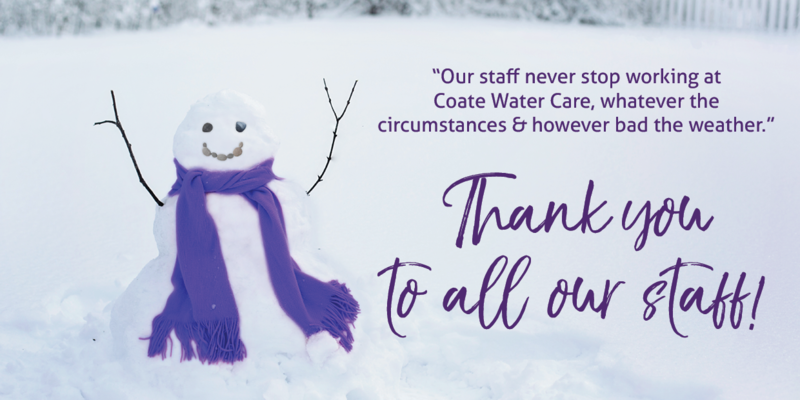 The Beast from the East may have brought large swathes of Britain to a standstill, but it was not enough to stop Coate Water Care’s staff getting to work and caring for the residents of our seven care and nursing homes in Swindon, Gloucestershire, Warwickshire and Worcestershire. Across the country, thousands of shops, schools, transport hubs and offices were forced to close as the thick snow and freezing temperatures made it impossible for people to get to work. However, a massive collective effort by all the staff at Coate Water Care made sure that it was ‘business as usual’ within the walls of our residential care homes.